Constant Contact is a powerful email marketing tool that allows you to collect, manage, and reach visitors of your site through their robust email templates and campaign tools. 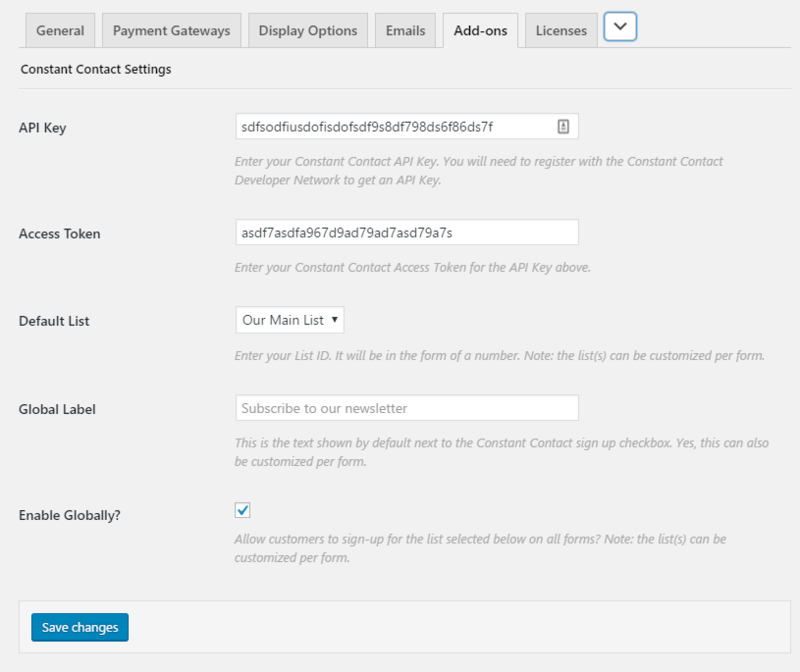 The following article will help you integrate the Give Constant Contact Add-on with Give. 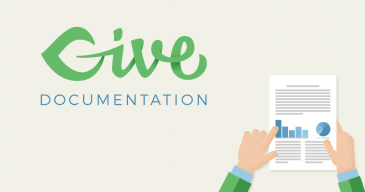 Activating your Give Add-on license is important for receiving plugin updates and support. After your Constant Contact Add-on is activated, go to “Donations > Settings” and click on the Licenses tab. Insert the license key you received in your purchase confirmation email or from your account dashboard and click save. If you license is valid you will see a checkbox confirming it has been activated and you are receiving updates and support. 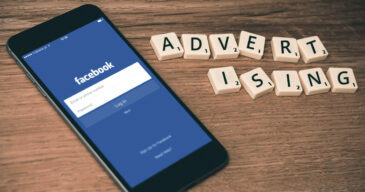 In order to properly connect Give and Constant Contact you will need to create a valid API Key and Access Token. Don’t worry, this process isn’t as complicated as it sounds! We’ll make it easy for you. First let’s start with the API Key. Login or create a CC developer account a Constant Contact Developer Account. Be sure to confirm your Constant Contact Developer account if you haven’t yet. 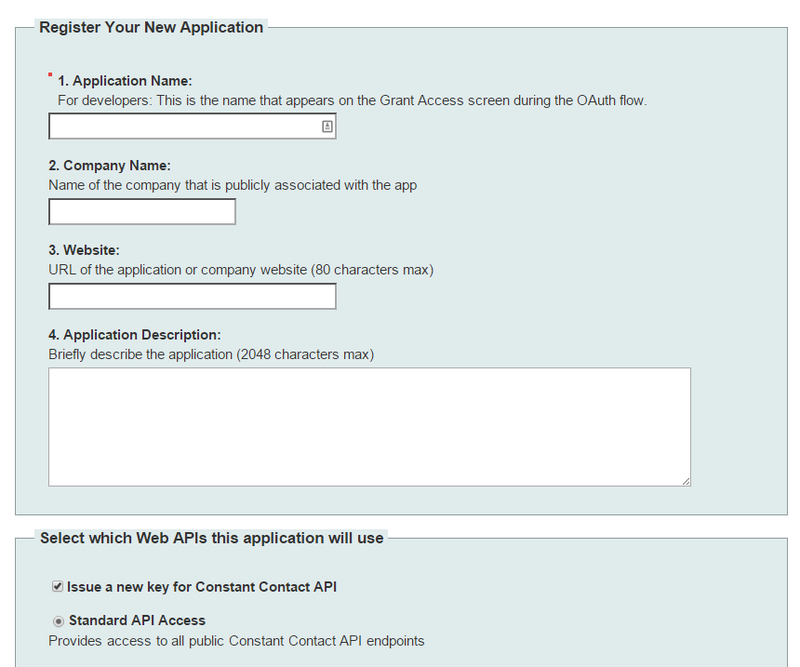 This screen is asking for you to create an “App” to be able to interface with their API. There’s some intimidating developer-speak about OAuth that you can safely ignore. Name it something like ExampleComDonation to that in the future you’ll be able to see where/how donors were added to your email list. Skip any fields not marked as “required” and be sure to tell it to generate API keys when asked. Agree to the terms, and click “Register Application” at the bottom of the page. Success message from Constant Contact. After you have Registered a Constant Contact Application by following the steps above it’s now time to get the Constant Contact Access Token. 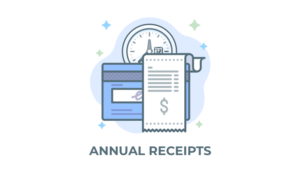 This will bring you to Constant Contact where you have to Authorize the application with your Live Constant Contact Account. This allows Give to use the application information to insert contacts (donor emails) to your lists. 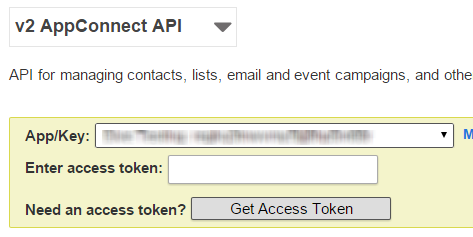 Once you get your access token, it’s time to insert the information into the Add-on settings. After you enter your key and token click save. You will now see the lists dropdown populated with your data. Configure your global settings and choose which list you want to enable by default.